Ask fellow campers about "Blueberry Hill RV Resort" and nearby attractions. Nightly rate based on monthly stay. Nice park whether your stay is for the season or simply a day or two while passing through. Easy on/off I-75 for a quick stop. Excellent amenities for a longer stay. 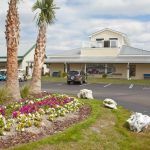 Beautiful swimming pool, shuffleboard, pickle ball, big clubhouse and a full calendar during the winter months with all sorts of activities. Nice laundry room, shower house and dog park. Walk to Wal-Mart, McDonalds, Subway and various other businesses. The only negatives are no shade and the sites are a bit tight - making things nice and cozy with your neighbors. Our awning nearly touched our neighbor when fully extended. We will certainly stay again on our next visit to Florida. We camped at Blueberry Hill RV Resort in a Fifth Wheel. This park is off I-75 and has great access. They were in the midst of annual maintenance but that did not affect our stay. Walmart can be walked to. This park has great amenities. The park is split into two areas, the fixed units to the South and the transients to the North. Both were great. All the pads to the north are pull-thru, but higher in the middle. I pulled our rig completely to the front had to jack up the front to get level. Next time we will position the rig in the middle and put the tow in front. We camped at Blueberry Hill RV Resort in a Motorhome. Dade battlefied park is just down the road. Catfish Johnny's is a great spot for, yes, Catfish. Thank you Bob-Deb for leaving us a positive review about your stay. 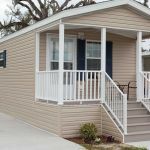 We hope that you will come back and stay with us at Blueberry Hill again or at another one of our many Sun RV Resorts in Florida. Thanks dhaney1944 for leaving us a review about your stay. We appreciate your feedback and suggestions for improvements. Stayed here for six weeks over the winter ... Yes we are Snowbirds! Got at better rate for being here over a month but of course then we were responsible for paying for electricity used. Loved being directly across the side street from a Walmart (just rode our bikes over when we needed something). There are several little restaurants and stores around town and LOTS of good restaurants and great shopping within a half hour drive. Close to Webster Flea Market which is a great flea market if you enjoy those. This is a Gem hidden in a country setting. The park is divided between those staying for long periods of time (OVER three months) and those for shorter periods of time. Those on the side staying longer have more room but we were perfectly satisfied on the side for shorter stays. The grounds are well maintained and everyone seems friendly. Lots of activities and great amenities. The park is great for walking in or riding your bikes. This is a very clean and neat park. We camped at Blueberry Hill RV Resort in a Motorhome. Thanks PegMcG03 for your review. We are glad you enjoyed your stay at Blueberry Hill. We hope that you will come back and stay again with us in 2019! We loved this park and can't wait to return. It was extremely clean and quiet. Would highly recommend it. We camped at Blueberry Hill RV Resort in a Motorhome. This resort was very convienent to the highway and WalMart was within walking distance. This is very nice park with great amenities and all hookups were placed perfectly and in great condition. This is snowbird resort and the people were very friendly. All the roads are paved and very well marked. This would be a great stopover or destination for winter. We camped at Blueberry Hill RV Resort in a Motorhome. Great Mexican restaurant across the street. Flea market in Webster is great. 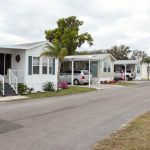 This resort has lovely amenities and clean restrooms, however, the package you receive when you check in makes it known that you should not use the restrooms if you have a RV with restroom facilities of your own. There are more than 400 sites and only one restroom building with 5 solo restroom/shower/sink combos. The sites are very tight. We had to jockey to be sure we could put our slides out. Absolutely fine for one night, but we felt we were living with our neighbors. Our rate was a little higher because we had four adults in our group. Residents for the season were very nice and spoke about the great golfing there is in the area. Next time through we will try another spot, hoping to find something just a tad more private. We camped at Blueberry Hill RV Resort in a Motorhome. If you need quick supplies, you can walk to Wal-Mart nearby. Easy access to I-75. Love how the park is kept up so well and everything is so clean. Pool is big enough to swim laps. As mentioned, the sites are close together and no picnic tables. We camped at Blueberry Hill RV Resort in a Travel Trailer. Visit Dade Battlefield State Park in Bushnell. Really two parks. About 100 identical pull throughs in one area and another 300 back in sites on the other side of the clubhouse and pool. We stayed one night in a pull through. This area had black top roads and black top strips for the RV and car. The rest was grass. Very clean. Plenty of room, but not much privacy. Just a large flat field with grass and black top. Worked well for one night. The 300 back in spaces had the long term residents. More landscaping. The RV's were all parked on grass, and each had a concrete patio. Seemed like plenty of room, but again not a lot of privacy. The main thing here seem to be the activities. Bocceball, pickleball, shuffle board, etc. A very large pool and a huge list of daily activities. We camped at Blueberry Hill RV Resort in a Motorhome. We got a great brochure with all the local information and stuff to do at the park. Very clean park. The staff was great. Easy to navigate had no problem getting to and into my site with a 40 ft and towing. And as they advertise: Walmart is just across the road. They have a foot bridge over the ditch so that you can walk in a straight line to it. Would rate a 10, but the sites are very close. We camped at Blueberry Hill RV Resort in a Motorhome. Don't forget Russel Stovers two exits north and 3 miles east. With a 45 foot Motor Coach, it was very, very tight. Narrow roads. It was cramped. Seems to be they are making this a permanent trailer park. We camped at Blueberry Hill RV Resort in a Motorhome. Thanks so much Robert42 for leaving us a great review. We hope that you will come again and stay with us soon! Park is exceptionally clean & well manicured. Paved sites in the short term section but, no patio. There is only about 15-20 feet between sites. Pool is clean & max depth is 5' in the middle. There is a large pavilion w/BBQ grills, tennis courts, horseshoe pits, snack bar (in season) & rec. center. We didn't use the bathroom, laundry or gym facilities so I can't comment on them but, the outside of the buildings were fairly new & clean. Shopping ie; Walmart, commercial laundromat, car wash, several restaurants & Auto Zone are within walking distance. I would have given this park a higher rating if it weren't for the closeness of the sites. We camped at Blueberry Hill RV Resort in a Fifth Wheel. Price reflects Good Sam weekly rate. Roads are paved with somewhat narrow sites. Turns are a bit tight for big rigs. There are two sections and the longer term folks/permanents seem to be parked on grass on the other side of the park. No obstacles for satellite reception and Verizon worked well. Nice pool and dog area. Park is convenient to the interstate and just across the street from Walmart, and there are several fast foods and a restaurant within walking distance. Road construction makes entry a bit tricky, but we will definitely stay again. We camped at Blueberry Hill RV Resort in a Motorhome. Very clean and well maintained park with all the amenities and planned activities for long term resident. The only negative thing is the front section of the park are all narrow pull thru paved site with no cement pads. The east and west section have a really wide site, but those site are reserve for 6 months and more stay. Walking distance from Walmart . 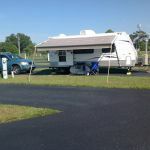 We camped at Blueberry Hill RV Resort in a Fifth Wheel. Walmart is within walking distance. Not a lot to do in Bushnell. When we stayed here two years ago we would drive up The Villages to go to movies. Good Mexican restaurant is good and the cupples restaurant is also good, Webster flea market, and Beasley's sun shades and mats also RV collision repair and store is there. Many stores you can walk too. Walmart is right across the street. Loved our stay here and will be back next time we're in the area. Walmart is right across the street. Walk to it via connecting bridge. Many restaurants and fuel stops nearby. Bushnell doesn't have many attractions, but I'm sure the winter visitors have enough to do at the resort. Blueberry Hill was a pleasant, welcome surprise and very reasonably priced. The RV resort is across the road from a Super Wal-Mart, so shopping for necessities is convenient. The area itself does not offer a lot of sit down type restaurants, mostly fast-food type, but Clermont (short drive away) offers a lot of restaurants to choose from as well as additional shopping venues. Staff and campers were very friendly and helpful. Walking distance to Walmart and a few restaurants. Webster flea market 20 minutes away, Sonny's BBQ close and a Wal-mart across the street, RV store close if needing anything. Also a country outdoor market 15 minutes away toward Webster on route 48. There are a few other restaurants but have not tried them. 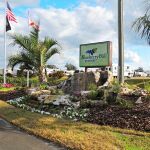 Are you affiliated with Blueberry Hill RV Resort ?